As the weather heats up, so does the temperature of our pools. 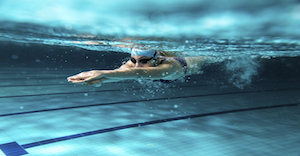 Swimming is not only a nice way to relax, but also a great form of exercise. It gives you all the advantages of a cardio workout without building up a sweat. One of the benefits of swimming is it allows you to exercise longer than running because it is gentler on the joints and muscles. If you want to get into great shape without going to the gym, then swimming might be your perfect match. We all have them, and attempt to manage them through various medications, trips to physical therapists, chiropractors, massage therapists and acupuncturists. The common denominator here is pain. Particularly, aches and pains in general are trickier to manage, and treat effectively. Many people are dealing on a regular basis with pain treatment and medication.